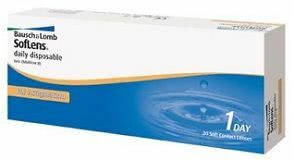 Authentic Soflens Daily Disposable for Astigmatism - 30 Pack Contact Lenses are brand name contacts. Whether it's business or pleasure, Soflens Daily Disposable for Astigmatism - 30 Pack Contact Lenses are the perfect solution to your everyday corrective lens needs. Contacts so comfortable its like wearing nothing at all. *Open boxes or vials cannot be returned or exchanged.